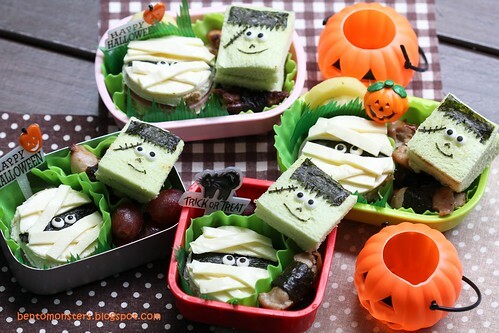 I've been wanting to do this Mummy sandwich, been seeing it all over the internet. 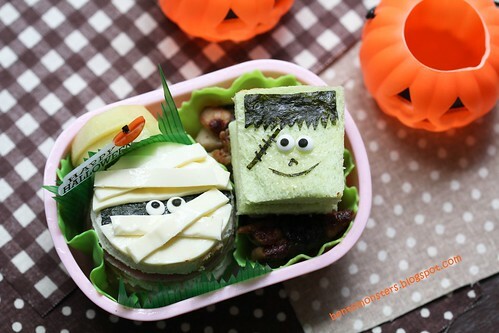 The idea to put Mummy and Frankie together was inspired by a fellow bento blogger. 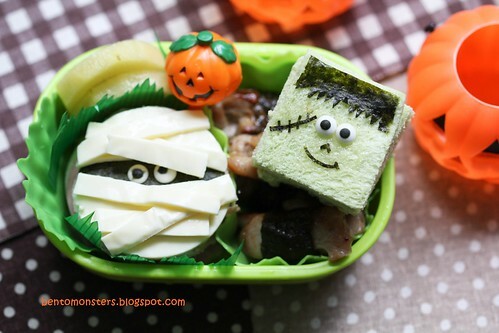 LT's bento for School, with ham/cheese bread, jam bread, seaweed chicken and grapes. 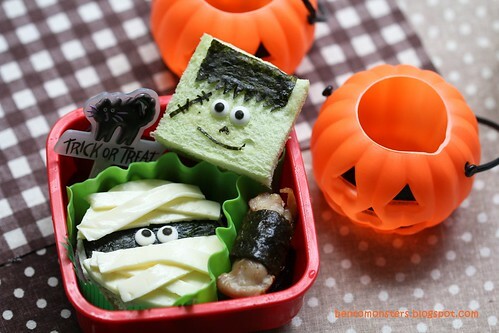 LT's bento for home, same stuff as above, except it's golden kiwis, instead of grapes. 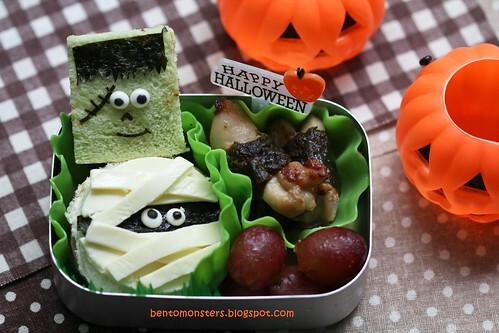 IT's bento for School, with ham/cheese bread, peanut butter bread, seaweed chicken and grapes. 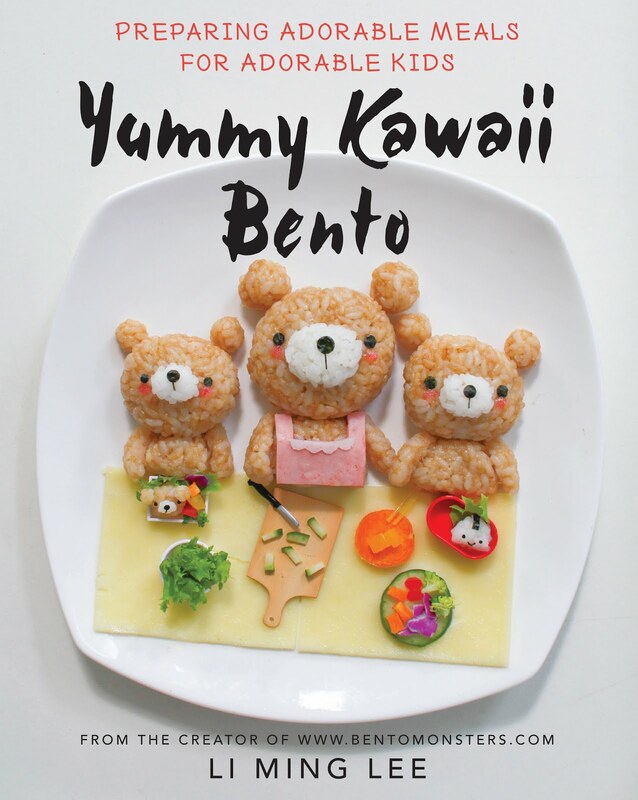 IT's bento for home, same stuff as his School's bento, except it's golden kiwis, instead of grapes. 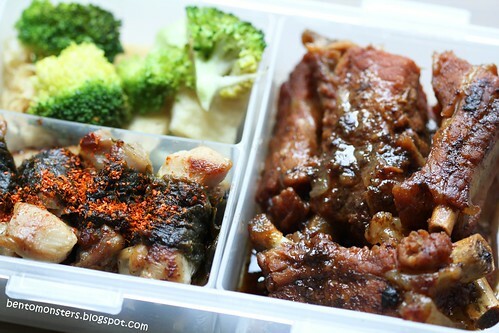 Another no carbo lunch for me, with seaweed chicken, cola ribs and broccoli/fish cake stir fry. LT's Halloween outfit for his class party. 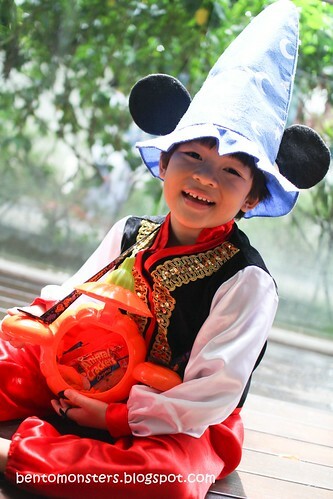 His costume was recycled from his concert last Saturday. 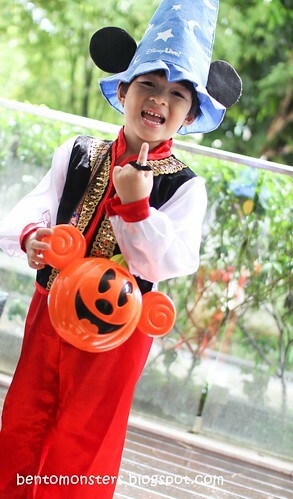 His hat was from a Mickey live show and his pumpkin was from Disneyland.